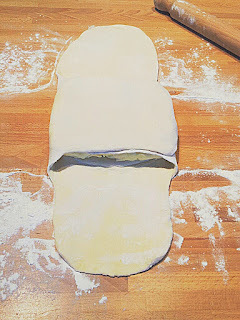 A Normandy Kitchen: Galette des Rois.. Incorporate the sugar and the butter until well mixed with a wooden spoon. Add in your almonds, vanilla and your egg using a whisk until the mixture become white (about two minutes). 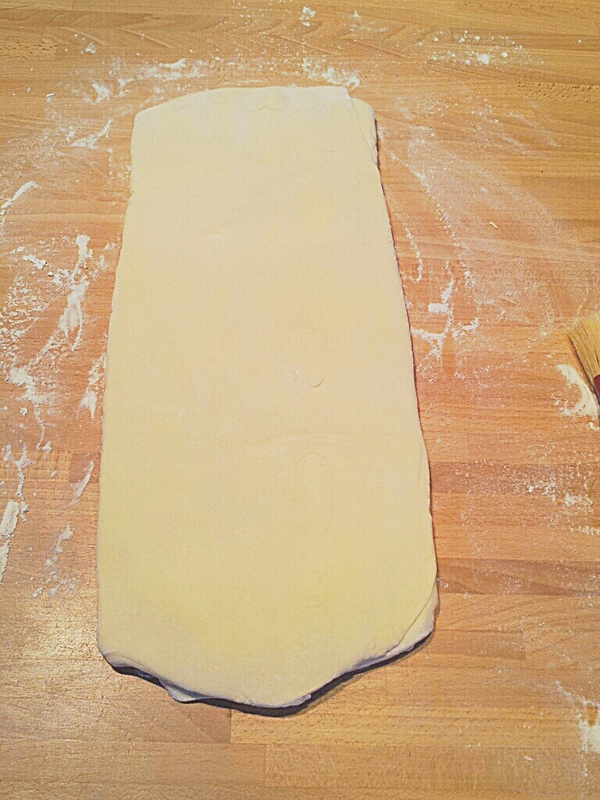 Add in the flour and put in the refrigerator to set for twenty minutes. On the first disc of pastry that has been brushed with the egg white, spread your jam and pipe on your almond mixture. (see above - I have only half piped it, so you can see where to stop the jam). DON'T FORGET TO PUT IN YOUR BEAN! Brush the second disc with egg white and seal onto the first disc pressing firmly to seal in the filling. Trim a tiny bit off so edges are all even. With the back of your knife, knock the sides up to make the seal stronger. Brush the top of the "galette" with egg yolk and put in the refrigerator to set for an hour. Cook in a preheated oven at 200 °c / 400 °f for approximately 25-30 minutes. 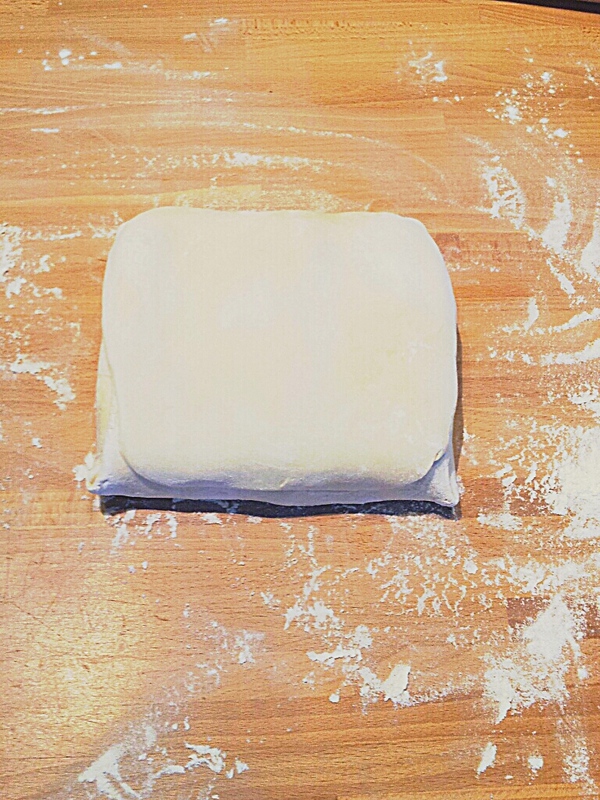 Mix the flour and the water together to make a dough. Shape your semi soft butter in a square shape. leaving a thick ridge in the middle where you place your butter on. 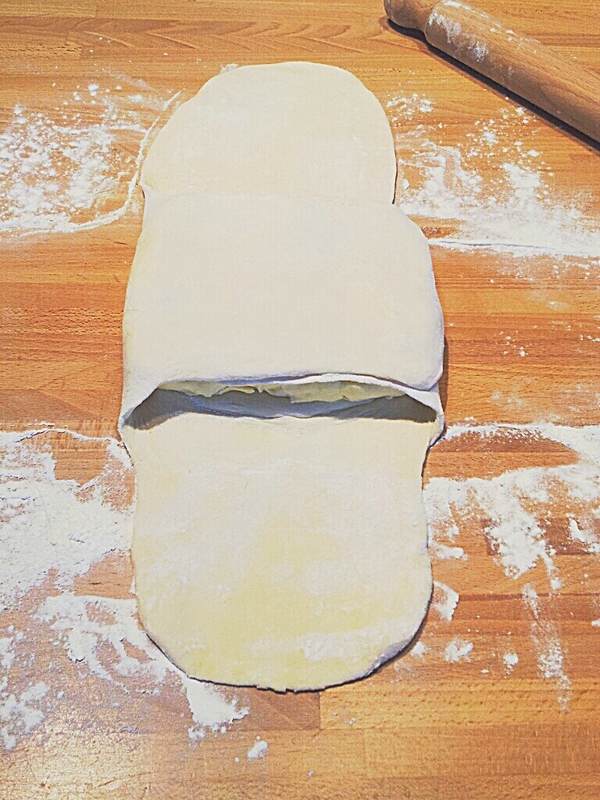 Fold your flaps over brushing off excess flour. Fold the two other flaps onto the butter. and turn so the edge on the top is on the right. Roll out a second time. Repeat the folding and the turning marking the top right corner with two indentations with your fingers so you don't loose count! 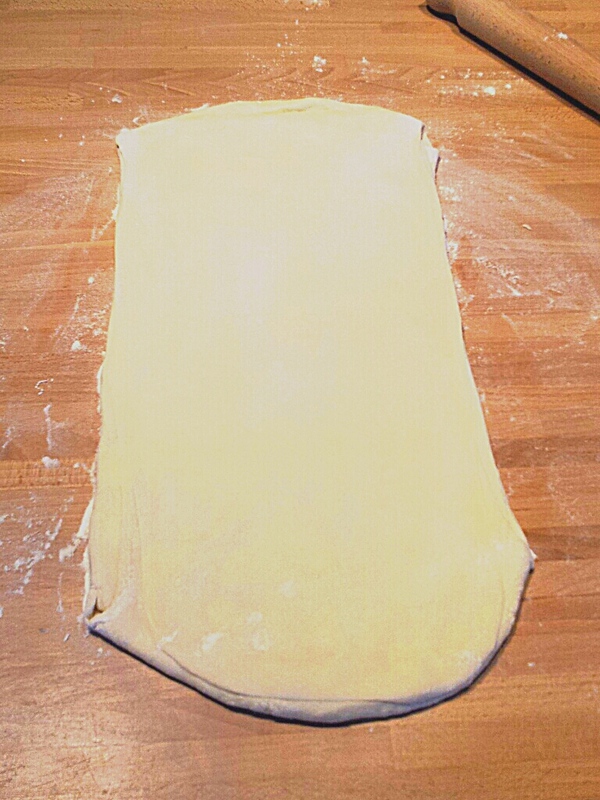 Place wrapped into the fridge and rest and hour and remove and repeat the process for two more folds putting four indentations in the corner for four turns. Rest another hour and do turn five on its own and the final turn six you are ready to use but you must let it rest before cooking. 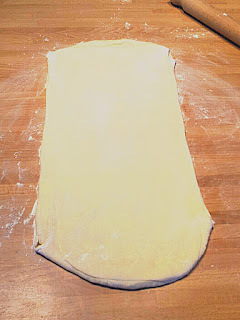 This will make about four circles but don't through any scraps way as they can be re rolled for ruff puff pastry which rises less and is good for tarts. It freezes really well also. That looks delicious and easy to make. 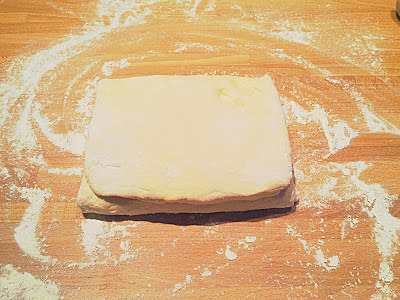 Although....I have never made my own puff pastry. I hope you are well and enjoying Winter. 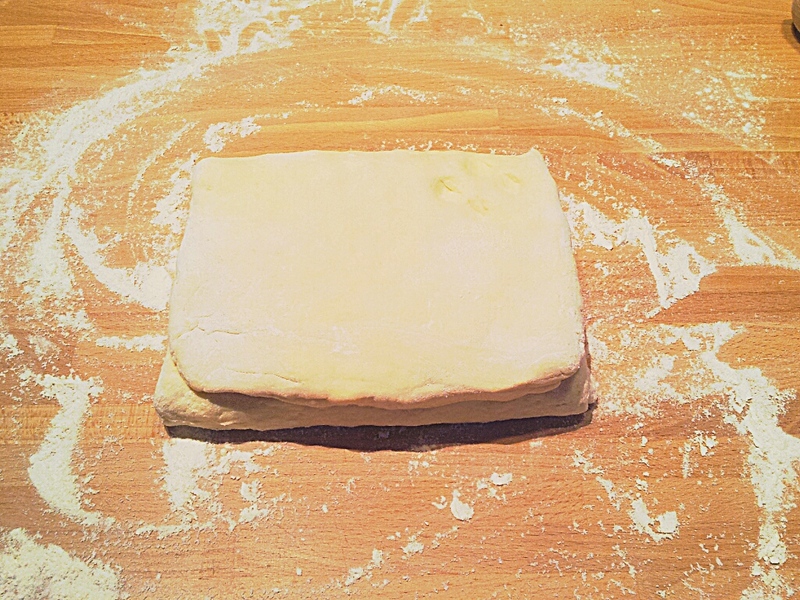 Thank you, it is easy and tasty, buying puff pastry is fine also! 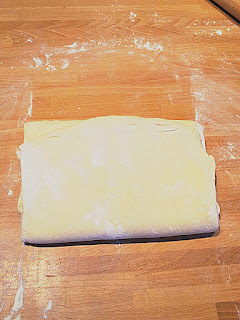 Making the puff pastry is just annoying in the time it has to rest but quite easy once you get the hang of it. I freeze mine and make it in batches. This looks and 'smells' so good!!! What a good tradition and a tasty one at that! 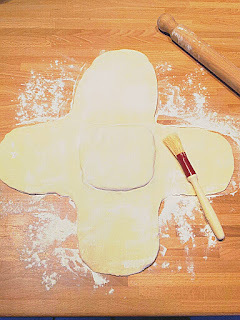 So that is how one would make puff pastry......after a few times I am sure I would get the hang of it! Thanks for this Ivan and I hope this finds you and yours well. Thank you, the puff pastry is not as hard as people think. You do need to practice it but it is more the time factor that is a constraint! Looks delicious! I was lazy and got one from our local boulangerie, but it was very, very flaky and good. Thank you and no, you are not lazy - they are pretty fantastic from the boulangerie especially in Normandy!! We use to buy one in Paris with raspberries which became a favourite as it was my first!! My goodness Ivan, such talent! This is absolutely a masterpiece. Sorry I am not there to sample! Thank you, that's really kind! Have a good week! This looks absolutely beautiful, and it sounds delicious! I made it and everyone loved it. 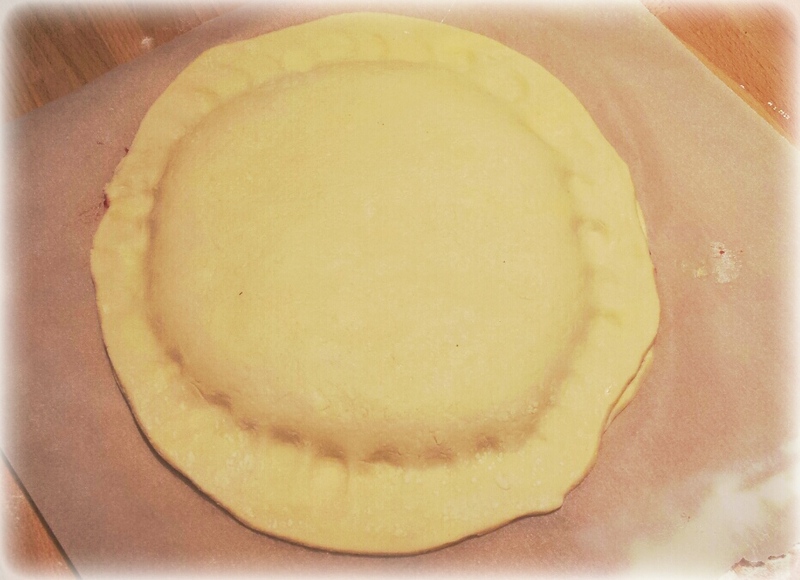 I used store-bought pastry but next time will try it from scratch. Thanks for the recipe. It is very tasty. Thank you, that's really good you made it and I am so pleased you liked it. Thank you also for reading the blog and dropping in with the feed back. Thank you for saying so, hope you are keeping well. What looks so delicious!! In Spain we have the "Rosco de Reyes" which is filled with cream and contains a small figure too. Greetings. Thank you, I was wondering if there was a kings cake in Spain. Have a good week. 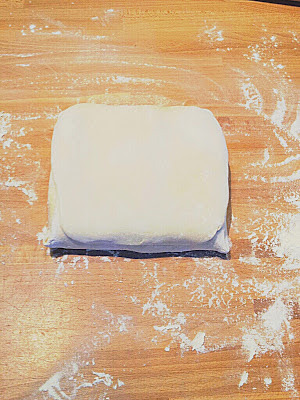 I look forward to the day when I have the time to make my own puff pastry. 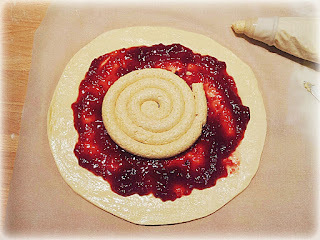 In the meantime, would it work with the circles of ready-rolled pastry you can get in France (and of which I have a couple in my freezer)? Thank you so much for joining us. I have just been reading your blog about your pretty house south of Tours, I shall read more later. You have the best of both worlds! Yes, it works just fine with ready-rolled puff pastry (I also buy ready-rolled for the freezer!). Happy baking! Thank you, hope you are having a wonderful trip and sampling all that wonderful Thai food! That's such fun you have a pug - I am a bit pug mad (since I was seven!!) That is also sweet how you chose to take her on. Mine is very sweet... most of the time!! Yes, the dog biscuits are healthy and loved by my pug! Thank you for writing. This looks so good, Ivan! 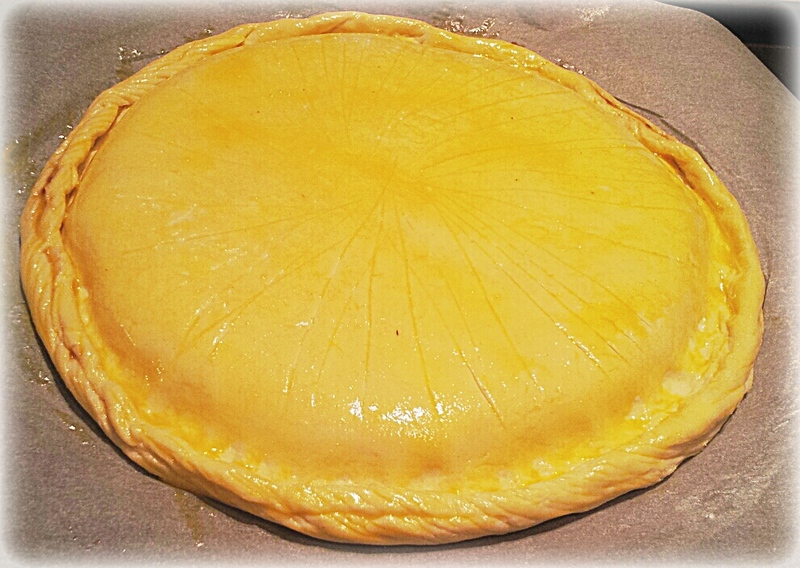 Brushing the egg yolk on top must be what gives the pastry that gorgeous color. You have put so much effort into this post with your detailed pictures and directions! Thank you! I'm going to try this recipe. Maybe I can practice during the year, and make a really good one for Epiphany next - which in Newfoundland we called Old Christmas. 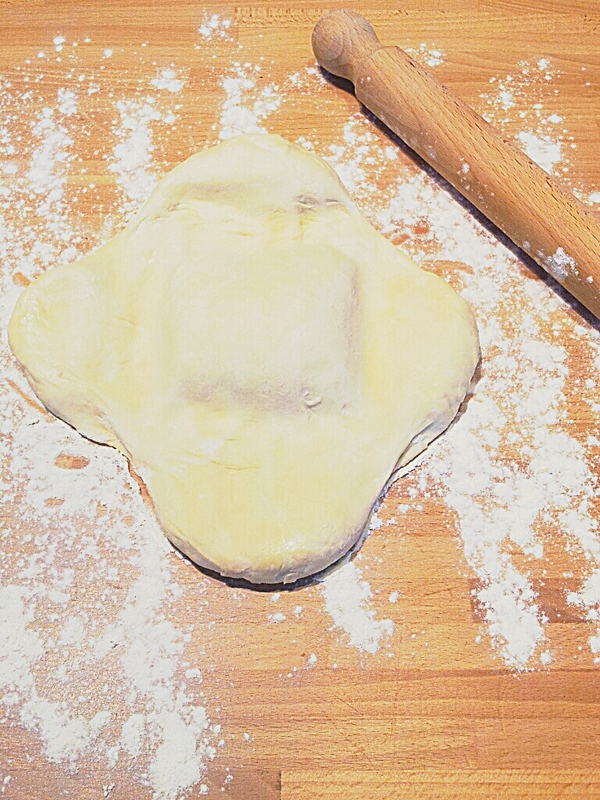 There are so many traditions around things cooked in a cake or pastry. I have a friend from Louisiana who makes a King cake with a figurine cooked inside it. In Louisiana the King cake is associated with Mardi Gras celebrations that last from Epiphany Eve through fat Tuesday. Who knows - the tradition may have gone from France to Acadia (French Nova Scotia) to Louisiana (with the expulsion of the Acadians from Nova Scotia). I'm sure for most popular traditions there are many paths and sources. 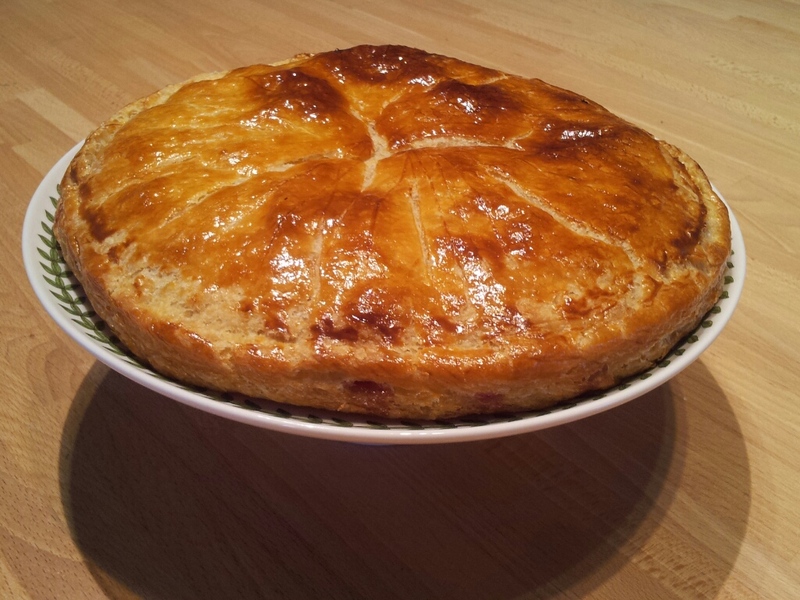 I'll bet your Galette des Rois tasted even better than it looks! I'm sending a head scratch to Aston! Have a good one! Thank you, yes just egg yolk on pastry makes for a deeper colour when baking. Hope you enjoy making it! I wonder where the doll does originate from, I will have to try and find out the history. Have a good week. That looks to be a very nice dessert. I wonder if you could have some whole raspberries in there too or would they 'leak' juice everywhere? With the almond mixture it is almost like a bakewell tart! I am going to try my hand at making this. I expect it is getting cold over there - it is certainly colder here today. Thank you, yes you could use fresh raspberries but the flavour won't be as intense and it is exactly bakewell tart-esque. I was saying the same thing Sunday, why is it I only want a raspberry one (not that frequent!) and it is really related to childhood memories!! Hope you enjoy it! It is also getting cold here. Now you have a cake to go with your crown!